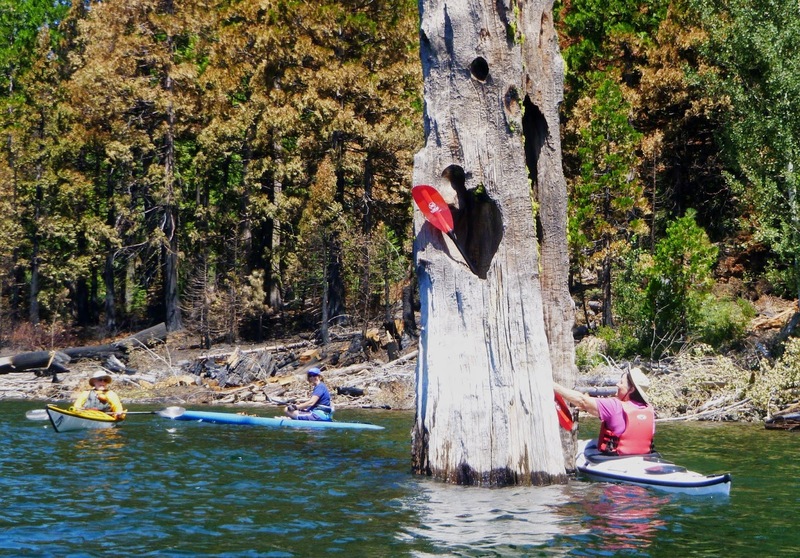 California kayakers looking for the best inland lakes this summer may feel like they’re marching across the proverbial desert – there’s a watering hole 50 miles away, but how dry will it be when they get there? Fortunately, the Web can help paddlers determine if the water is worth the drive. Paddling and playing in the Lake Valley "forest"
mercury climbs. So when a group of NorCal Yak pals scheduled a weekend paddle, I checked reservoir data from the state Department of Water Resources. There are a couple of hundred lakes at this link. Now to paint a picture by the numbers. Lake Valley sparkled clear and cool this past weekend. You could barely tell the water level was down. 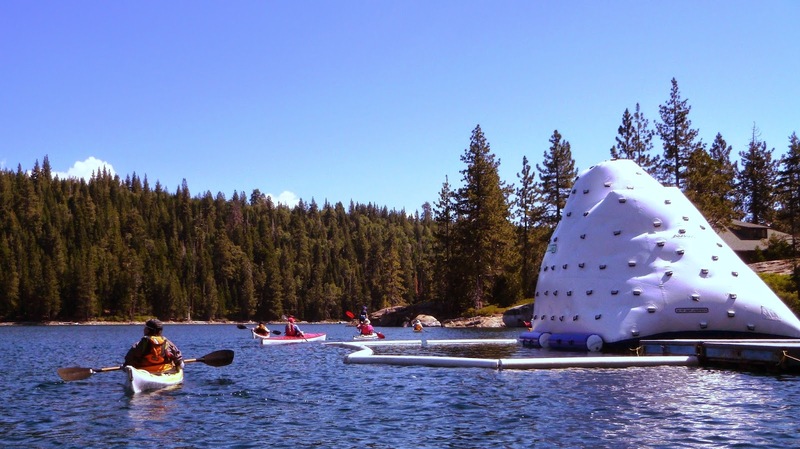 On the far shore, a youth camp geared up with canoes, canopies and an inflated “climbing wall” that looked like a giant s’more oozing into the waterline. Lake Valley is dotted with stumps and moss-laden dead trees. They present an eerily sculptural effect, not to mention an interesting obstacle course for paddlers. This proved to be an excellent summer outing. There's a concrete launch ramp and beach launch area at the Silver Tip Picnic Area, but parking is limited, so get there early. Day use vehicle fee is $5. There’s still good summer paddling at other places as well. Check online for a daily reservoir storage summary, plus similar info in a graphic format. For river info, trip, try Dreamflows, an excellent non-government site.